"This irresistible attraction was a 3-D printed vehicle made by Local Motors, and interest at the New York Hall of Science in Flushing Meadows-Corona Park in Queens was intense. Bystanders crowded around, closely inspecting the car’s structure, which combines the body and chassis in a single unit and is made entirely from a composite, acrylonitrile butadiene styrene, reinforced with carbon fiber. Commonly called A.B.S., it is the same thermoplastic used to make Lego bricks." 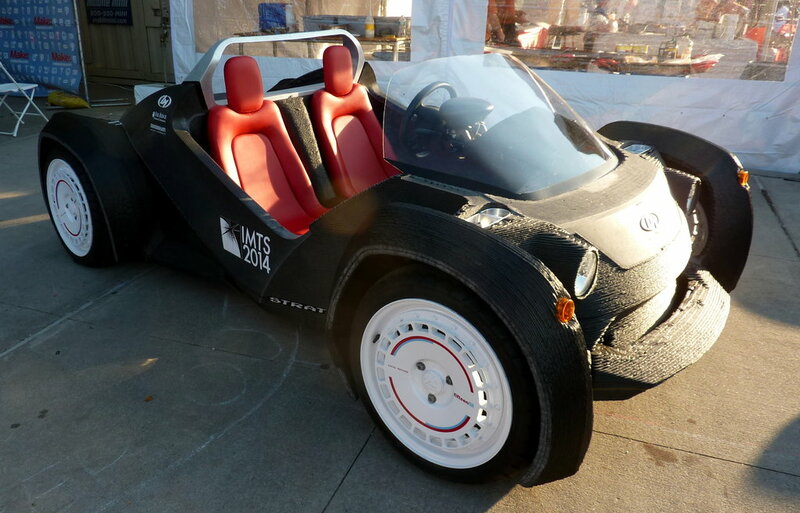 Read more about the first 3D printed car here.